To invest successfully over a lifetime does not require a stratospheric IQ, unusual business insights, or inside information. What's needed is a sound intellectual framework for making decisions and the ability to keep emotions from corroding that framework. This book precisely and clearly prescribes the proper framework. You must provide the emotional discipline. 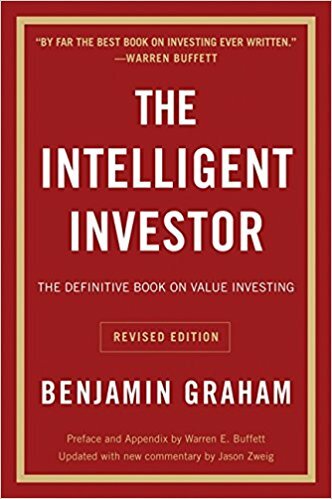 If you want to get into stock trading or in case you want to become an investor, then I definitely would recommend to read the book I already mentioned and in addition: The Intelligent Investor by Benjamin Graham. The foundation for investing. A lot of people have used this as their guide to getting into investment, basic strategies. Actually Warren Buffett cites this as the book that got him into investing and he says that principles he learned here helped him to become a great investor. Highly recommend this book. It’s a great way understand what’s going on and how to evaluate different companies out there before you make an investment. The typical investor “follows the market” and learns bad investment habits trying to beat the market. Graham gives you an alternative from that mistake, teaching you to avoid allowing your emotions to control your investment decisions. A great point from this book I got was that it’s a mistake to forecast the future of stocks exclusively by pulling data from the past. [...] This book is a great start for those looking to become millionaires. Don’t get into stocks, but if you do, read through this book carefully first.